“We need to deal with reality rather than myth. There’s still a perception in parts of Europe that we’re using chlorine to wash chickens in. 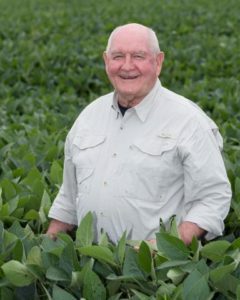 That hasn’t been used in the U.S. for a long time” said U.S. Agriculture Secretary, Sonny Perdue, in an exclusive interview with BBC Radio show, Farming Today – one of the most popular early radio morning programs in the UK. During the interview, Secretary Perdue discussed the safety of U.S. chicken and beef and how transparency should help inform consumers about the safety of the food they consume. “But we need education, good information, and informed consumers” stated the Secretary. Pointing out that the U.S. is using a different anti-microbial on chickens, not chlorine, and that disinfectants are necessary to ensure that consumers are not subject to germs and infections, he said that “chlorine is used in parts of Europe to wash salad greens. So what is the difference between salad and chicken?” he asked. The U.S. produces “a healthy, wholesome chicken” but consumers should better understand various food processes, or what might be referred to as “transparent labeling”. The U.S. is not trying to tell the consumer they should eat this or that. On the contrary, American farmers produce for the market and aim to meet consumer demands. When informed consumers understand the health, safety, nutrition and the benefits of American agriculture, they will want the products, he suggested.